Located just North of Rodney Bay, Royalton St Lucia Resort and Spa welcomes its guests into an all-inclusive, luxurious filled vacation set within the lush landscapes of the island. With modern facilities and welcoming staff, The Royalton is a spectacular choice of accommodation for you to enjoy an unforgettable luxury escape to the Caribbean. Everyone is welcome – The resort accepts travelers of all ages with it’s 3 distinct sections that are suited to everyone’s needs. These include a family-friendly experience within the general resort, a hideaway that is an adults-only oasis and finally the Diamond Club which gives a higher level of service combined with an exclusive pool, beach and dining areas for the ultimate relaxing vacation. So no matter if you are traveling with kids to St Lucia or enjoying a couples escape, the resort has something to offer everyone. Accommodation – No matter your unique vacation style the rooms are a luxurious place to relax and unwind. The beds are fitted with Royalton Signature Dreambed mattresses and high thread count sheets for the ultimate experience of comfort. Other facilities included in the rooms are USB recharge and Bluetooth audio stations, stocked mini bar, satellite television and 24-hour room service to name but a few. Luxury dining – With the Royalton St Lucia Resort and Spa home to a mix of different restaurants offering both local and international cuisine, you won’t be stuck for something to eat whilst on your vacation. With buffet-style dining as well as an a la carte menu, you will love the range of options that are available to you. If you’re a big sports fan you will also love their Sports event guarantee where you can watch the most popular sporting events from North America and Europe in the SCORE Sports Bar where you can enjoy both the game and traditional pub & grill food. Spa & Fitness – The resort also comes equipped with its in-house spa where guests are welcome to treatments that ensure they return home refreshed and renewed from their visit. The Royal Spa features a hydrotherapy circuit and a full range of massage, body and facial treatments making you feel relaxed and rejuvenated, ready to enjoy the rest of your luxury vacation. With special packages and services available you can enjoy a day filled with seasonal treatments as well as full access to the fitness center and hydrotherapy circuit. Special Occasions & Promotions – The Royalton St Lucia Resort and Spa have also curated a range of packages and promotions for those that are visiting to celebrate birthdays, anniversaries and group reunions. With packages that include kids birthday packages, romance packages, and friends getaways you can personalize your vacation depending on your reason for visiting. Weddings – A wedding at the Royalton St Lucia Resort and spa is a promise that your big day will be unforgettable. With a range of wedding packages to suit any budget, you can say your vows on the beachfront and then celebrate with an amazingly prepared dinner. Leave the planning to the resorts professional wedding concierge ensuring that you will be relaxed and ready to share the special moment with your family and friends. 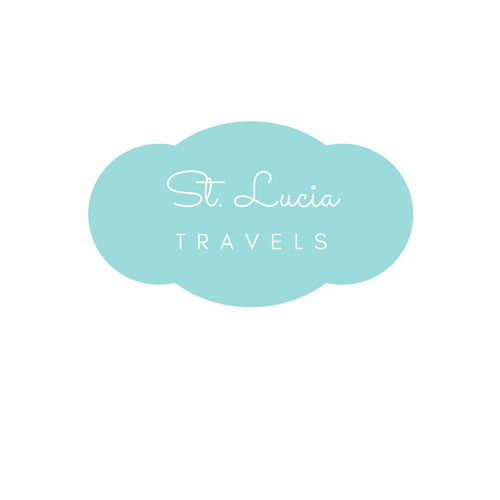 All photos from the Royalton St Lucia Resort and Spa Gallery. If you want to check out rates for Royalton Resort, you can check it out here and book your vacation. This looks like a cozy place to relax! I’m impressed by that bath. It’s cool they have a gym, but I don’t think I’d ever use it. I tend to skip working out on vacation. It looks like a beautiful resort. Pinning to my travel board! I would want to see every single thing there was to see in the area, and do everything there is to do, and then I’d sit sipping something cool and refreshing in the room just admiring the beautiful scenery out of those wonderful large windows. I need to go here! It’s been a long winter! Such a beautiful resort, I need to plan a holiday asap. This place keeps coming up! I feel like more and more people have been going here lately and it looks so incredible. I would love to go. Would you recommend it for a solo vacation? Wow, this resort looks stunning! St. Lucia is on my bucket list, for sure. This looks amazing! Just like a dream vacation! We love staying at all-inclusive resorts! It’s a great way to travel and makes all the meals so easy. Everything you need is right at your fingertips! Oh my goodness how amazing does this look as some where to go and spend some time! I would love to get away to St Lucia. You’ve made the Royalton a place for everyone. It looks fabulous. Having a family-friendly area is a plus and the adults section is perfect for someone like me. I’m certain that you have a great time! I absolutely love places like this that are all inclusive. There is so much that you can participate and relax with even if you don’t leave the resort! such a great location! i need a getaway like this! I think this is a really thumbs up for me. The Royalton St. lucia Resort and Spa sounds a lovely place if you want to relax and enjoy the wonderful amenities with your family. This looks like such an amazing place to stay! I want to book my vacation like yesterday. Wow, so beautiful! My friends husband is from st lucia and at hes always singing of its beauty! It sounds like you had a really good time! This resort is absolutely amazing. I really like that it is all-inclusive and so luxurious at the same time. I bet some wonderful memories have been made there. This resort looks and sounds awesome. I love all-inclusive resorts. It is so relaxing. Over here drooling over this resort! It has definitely been added to my must visit locations! I think it’s great that it is set up for different ages and would love to visit. Thanks so much. I really appreciate that!!!! I was actually looking to go here last year. Such a gorgeous place!